The Boston Consulting Group is a global management consulting firm and the world’s leading advisor on business strategy and transformation. We partner with clients in all sectors and regions to identify their highest value opportunities, address their most critical challenges, and transform their businesses. Join our team and experience management consulting at its best. 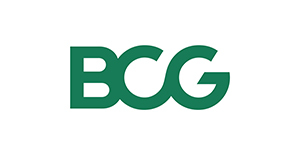 With BCG you will learn how to navigate complexity, draw unique insights, facilitate change, and become a leader responsible for real and lasting impact. Coached by a personal mentor and supported by your team and individual trainings, you will join a diverse group of highly driven individuals from different backgrounds who respect and trust each other.